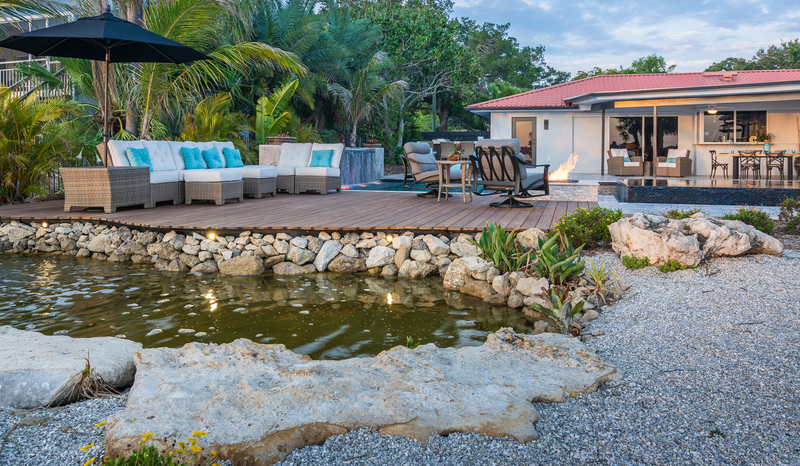 On this episode of Insane Pools, a multi-generational, environmentally conscious family living in a designated bird sanctuary in Osprey, FL asks design expert Lucas Congdon to create both a custom-built pool paradise and a bird pond oasis, all in one outdated, rundown backyard. 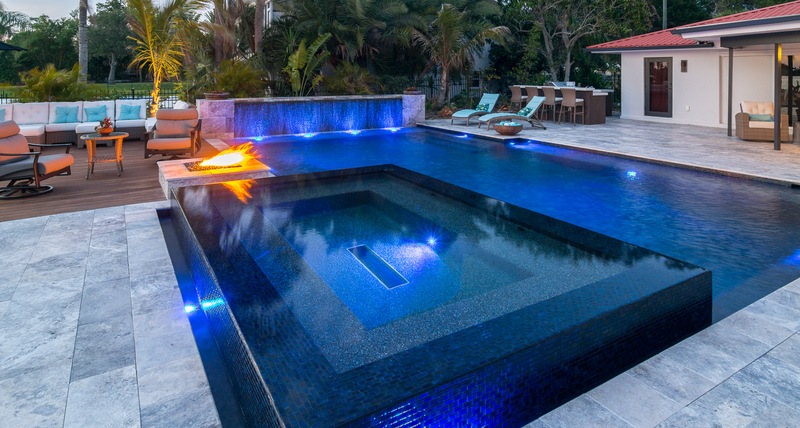 After finding out a pool remodel won’t be possible, Lucas has a change in design plans and builds a new custom pool for the client. 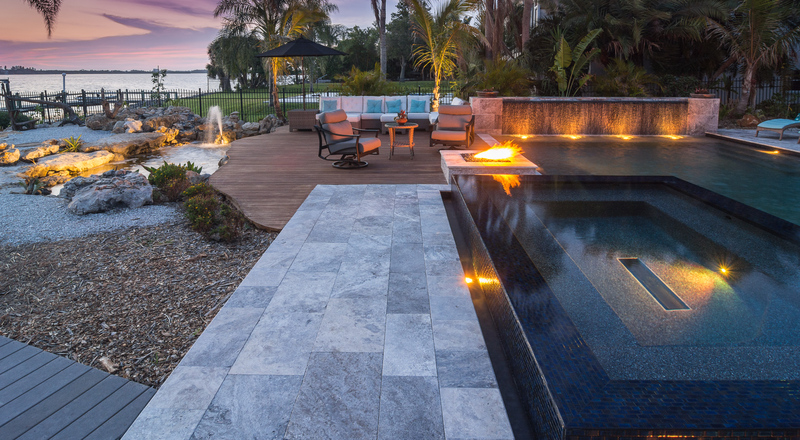 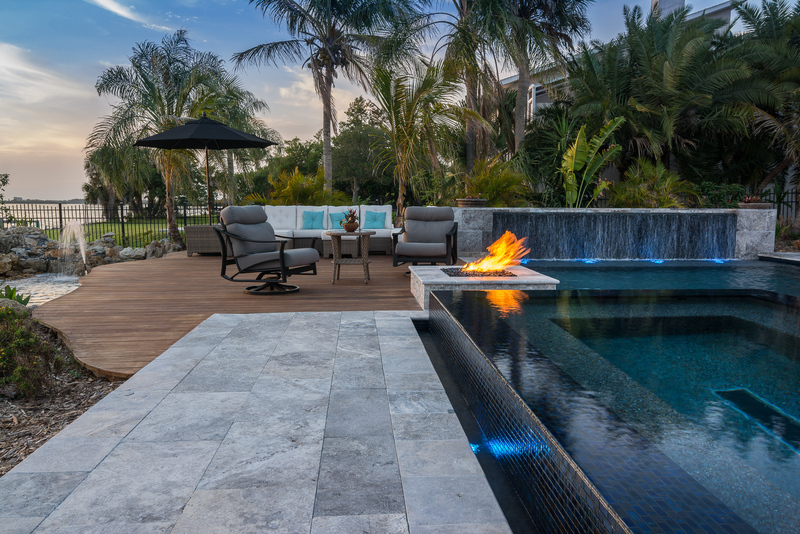 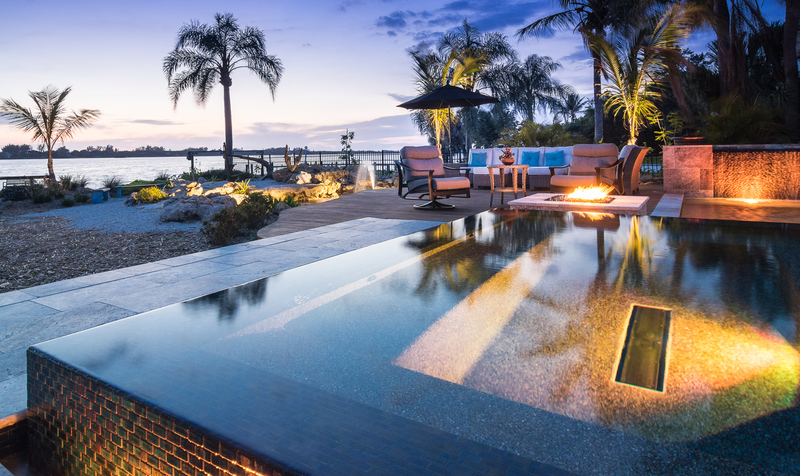 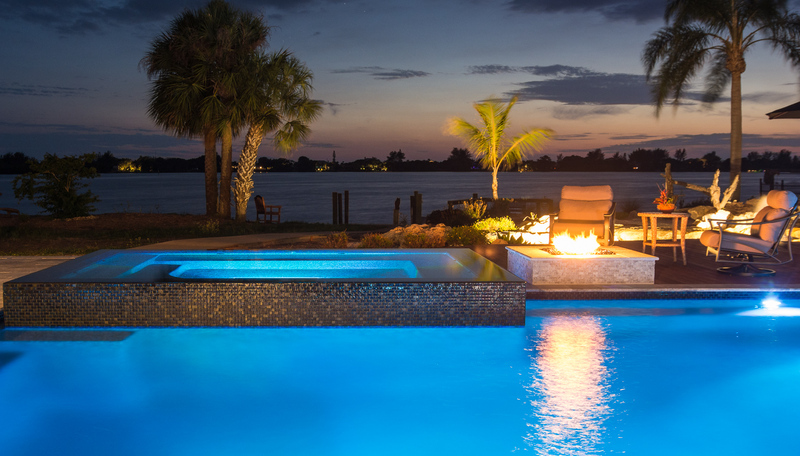 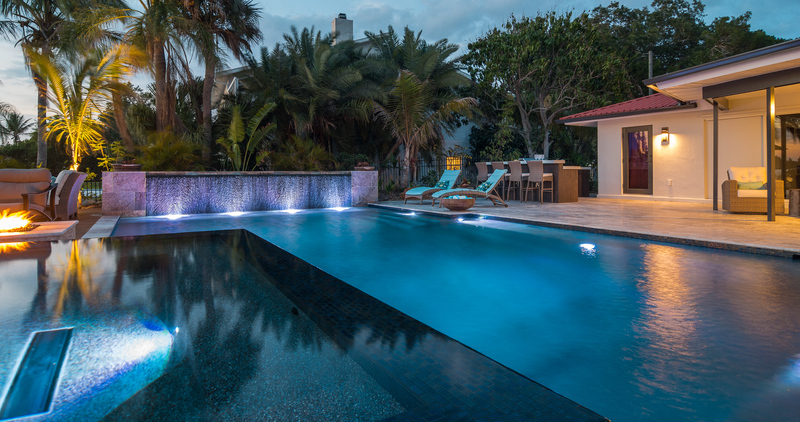 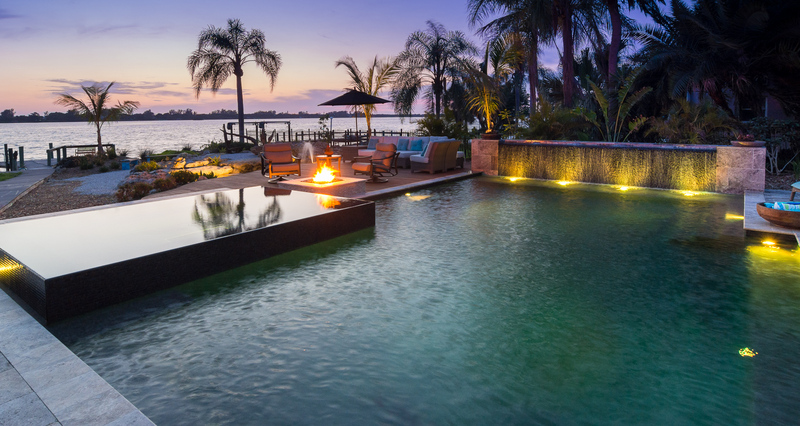 The final design of the custom pool in Osprey, Florida includes a natural Florida limestone fresh-water pond for the birds juxtaposed with a ModernZEN pool, gas fire pit and an oversize infinity edge custom spa. 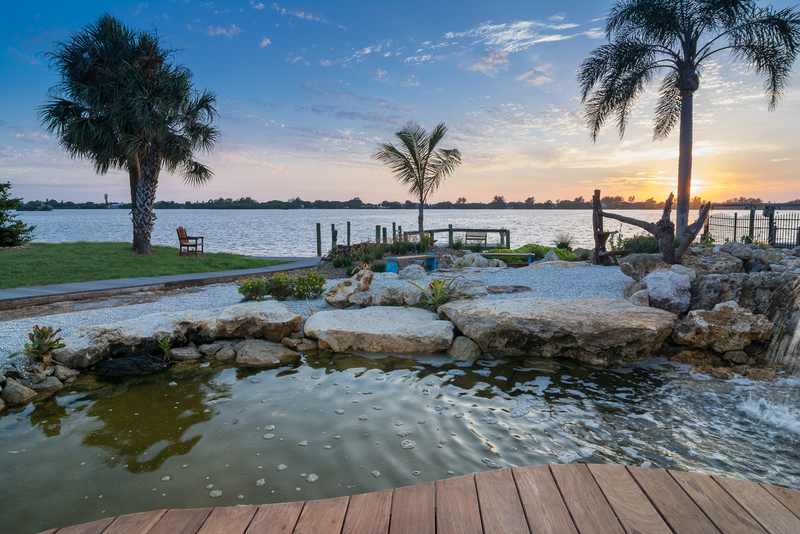 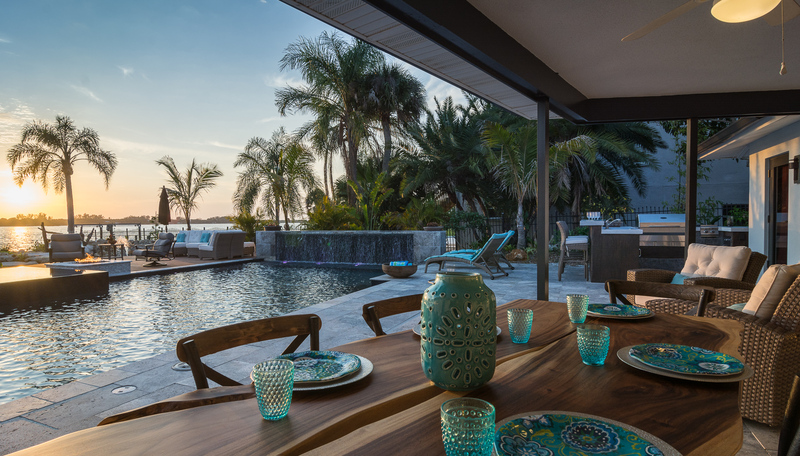 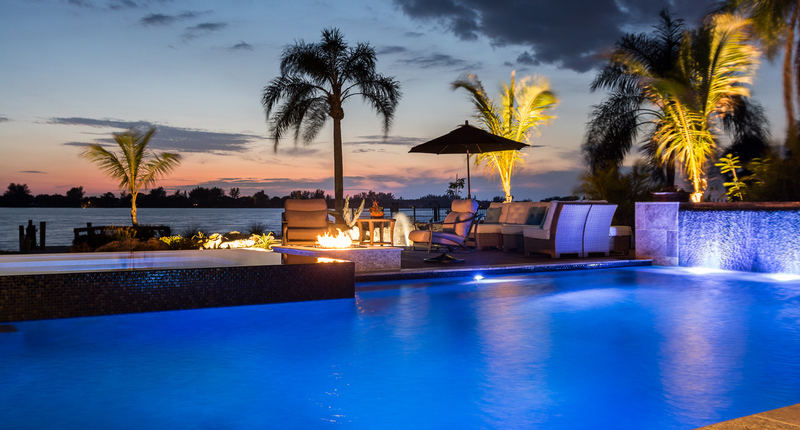 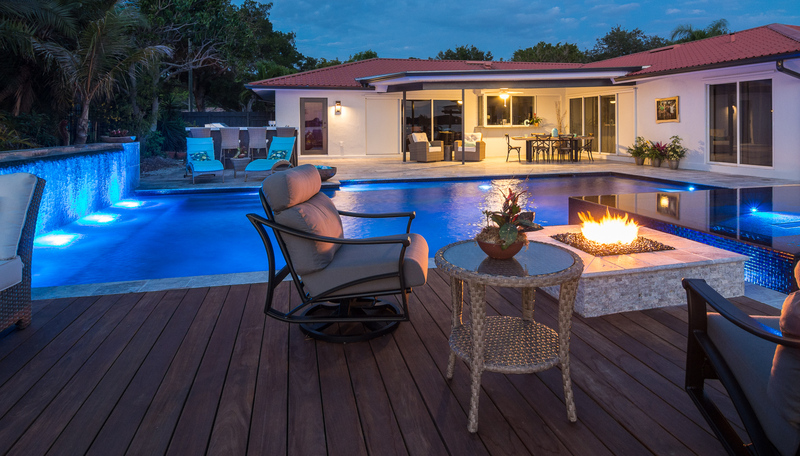 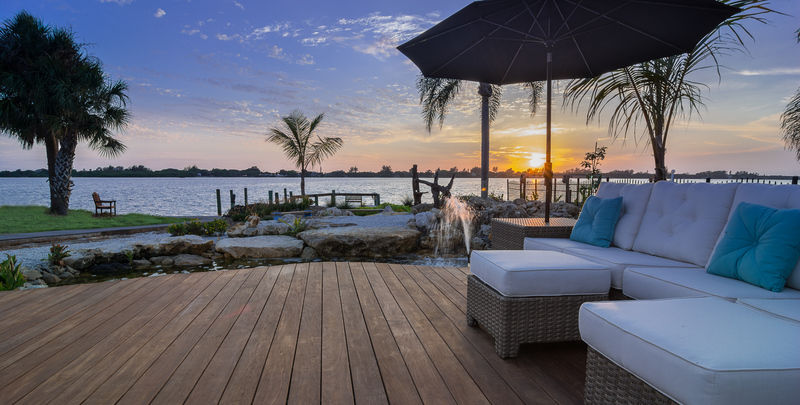 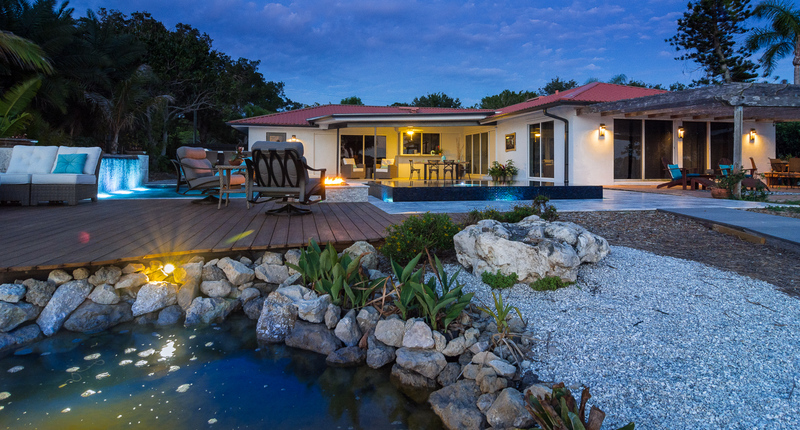 To complete the custom pool design, Lucas added plenty of outdoor living space including an outdoor dining area, an outdoor kitchen with bar, grill and seating plus a large deck joins the custom modern pool to the natural Florida pond.